Speak at YouToo this year! Don’t miss your chance to showcase your organization’s work – face-to-face – to nearly 200 of Northeast Ohio’s top communication professionals, as well as to the next generation of communicators and leaders in the integrated marketing communications profession. Email Luke Armour, conference co-chair, at larmour1@kent.edu with a proposal for a breakout session or panel discussion. ​Lee Odden is a marketing strategist, author, speaker and CEO of TopRank Marketing, a digital marketing agency with experience serving top B2B and B2C brands including McKesson, SAP, LinkedIn, State Farm, Dell and 3M. Lee’s team of consultants are pioneers at developing and implementing “best answer” marketing strategies that integrate content, search, social, influencer marketing and online advertising. Onlaytica has ranked Lee as one of the top content and social media marketing influencers in the world. Cited by the Wall Street Journal, The Economist and Forbes for his marketing expertise, Lee has evangelized a customer-centric approach to marketing at over 200 events in 17 different countries, through numerous editorial columns in industry publications and an award winning blog at www.toprankblog.com. Shonali Burke, Shonali Burke Consulting, Inc.
Shonali Burke, ABC, is an award-winning growth strategist whose unique combination of incisive business acumen, integrated marketing communications expertise and impeccable project management skills helps businesses around the globe bring big ideas to life. A veteran of large and small PR agencies, Shonali has worked with, among others, the ASPCA, where she spearheaded crisis communications around the 2007 pet food recall and Michael Vick case, Japan’s Iwate Prefecture, Cirque du Soleil, Cision, AcademyHealth, Oxfam America, and USA for UNHCR, for whom she designed and implemented its now-textbook digital "Blue Key" campaign. Shonali is a former IABC/DC Metro chapter president, has served on IABC International’s Accreditation Committee, and was a founding board member of ColorComm and Women in PR USA. Based in the Washington, D.C., metro area, Shonali is active in her local community. She serves on the Executive Committee for the Montgomery County Executive’s Ball, which benefits Arts and Humanities programs in Montgomery County, Md. She is also a volunteer with Shepherd’s Table through Good Shepherd Episcopal Church, where she serves on the Communications Committee. A curiosity has turned into a career since Allie discovered how truly valuable digital tools such as SEO, SEM and social media can be in today’s information age.Having worked for a Harley-Davidson dealership, In-game Entertainment for the Virginia Power (a minor league affiliate of the Pittsburgh Pirates) and an internship with the Cleveland Cavaliers, Allie has gained experience in many different areas of communications and marketing. Since signing on with True, she is focused on soaking up, and learning as much as possible in digital realm. That’s the stuff I have to say. What I don’t have to say…but want to say…is who is Ben Brugler. I’m a lot of things. First and foremost, a dad, with two awesome, amazing girls. Kendall, 12 and Leia, 8. I’m a softball coach to both of them and can be found on the softball field most summer nights. I’m a husband who is married to Theresa, a former agency person – a media buyer from Malone Advertising – who now teaches marketing at the high school level. We met at Kent State, in 2000, in an ethics class and didn’t like each other for about the first three months…mainly because we disagreed on the merits of advertising v. public relations. 18 years later we still argue this. I’m a collection and representation of all of these things, every day, as I try to match the passion and energy that our people have for our business. I’ll never forget the day I learned one of the most important lessons of my professional career. A supervisor told me ‘it’s not about you’ when you work agency. I’ve never forgotten that. And I never intend to. For a culture to succeed, grow and breathe…it has to be about those who live it and essentially maintain it every day. Without our culture we just wouldn’t be ourselves. 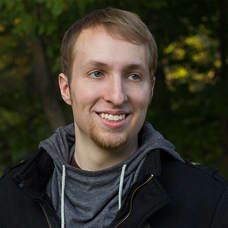 SwankyBox (Brad) is an Ohio-based YouTuber who runs a video game-focused channel with over 160,000 subscribers and 23 million views. He speaks at conventions around the country about YouTube, storytelling, and pursuing your creative passions. By trade he is an animator, videographer, and writer. He took the YouTube plunge in 2015 and has been living in the world of online video ever since. Brad quickly learned that teaching people through gaming was very effective. While video games may be his medium, he is able to instill science and math topics while doing so. He constantly encourages those who are watching to think outside of the box and to contribute their own thoughts to the discussion. Brad’s attentiveness to each viewer’s experience has allowed him to reach the front page of Reddit twice for videos he created. Beyond that, his channel gained over one hundred thousand followers within the first year of pursuing it full-time. 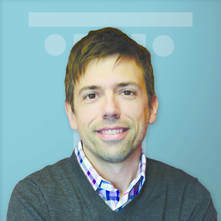 He constantly analyzes trends to deliver optimized content for a search-heavy online world. He also is a YouTube consultant for other creators and businesses. ​Shon Christy boasts almost 20 years of marketing experience and is the Founder and President of Shon Christy Social Media. In 2010 he opened Christy Creative Ohio's first niche social media marketing firm and has founded and transitioned 2 firms since that time. His work has been featured in Inside Business; Smart Business; the Akron Beacon Journal; Spirit of Philanthropy; The Young Professional Roadmap; and was featured in the book Under the Rustbelt - Revealing Innovation in Northeast Ohio. Ever the entrepreneur, Christy has even launched Beckett’s Buddies, a fundraising group to support those with Down syndrome, in honor of his seven year-old son Beckett that has raised over $100,000 for causes locally. Shon has a rich history steeped in philanthropy. He regularly donates a portion of his company revenues to the Up Side of Downs, a non-profit advocacy for individuals with Down syndrome in NE Ohio. 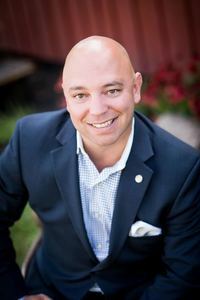 He is a past president of The Rotary Club of Akron, and has served as the Chili Open co-chairman (2 years), PR chairman, and and President-Elect. Additionally, he has served on the Board of United Disability Services, The LuMind Foundation (Down syndrome cognition research), The Rotary Camp for Children with Special Needs, The Greater Akron Chamber and the United Way of Summit County where he was also the past Young Leaders Society Chairman. Christy is a member and Vice President of the 31st class of Leadership Akron and serves on the boards of the Greater Akron Chamber Small Business Council, The Akron Rotary Foundation, Stow Youth Football and Cheerleading where he serves as Vice President and is the current president of The Stow Schools Foundation. Christy has been bestowed with the Greater Akron Small Business Councils Excellence in Business - Emerging Business award, the Distinguished Sales and Marketing Executive Award from SMEI, and the Summit County Pinnacle Awards - Andrea R. Teodosio Rising Star Award. In 2012, the Greater Akron Chamber of Commerce Young Professionals Network recognized Christy with the 30 For the Future award for his community service and business leadership, the 2015 Young Philanthropist Award by the United Way of Summit County, 2016 Summit County Board of Developmental Disabilities Community Impact Award, and most recently the 2017 JOG Community Leader of the Year Award. Depending on who you ask, Pam is either a technical person who speaks marketing or a marketing person who speaks ‘geek’. It’s a combination of strengths that has served her well in her 15-year career in ad agencies and interactive shops, where she has worked with clients in the building products, manufacturing and non-profit sectors. At True, she puts those strengths to work developing digital strategies, SEO/SEM programs and measurement tactics to analyze everything from search engine rankings and social media engagement to website conversion for our clients. ​Marc is a User Experience Designer at Hyland, UX consultant for TheoremCX and an adjunct professor at the University of Akron. He’s worked in application, software and website design for over 20 years, won some industry awards, and ultimately gained skills in e-commerce, user research, interaction design, digital strategy, conversion rate optimization (CRO), and usability testing. He’s worked with organizations such as Progressive Insurance, Cleveland Institute of Art, and many local advertising agencies like Wyse. He has a Master of Science in Information Architecture & Knowledge Management with an emphasis in User Experience Design from Kent State University and a Bachelors of Arts from Bowling Green State University. He is Google Analytics certified, UX Certified from Nielsen Norman Group and a Certified Usability Analyst (CUA) from Human Factors International. Marc is also an Eagle Scout. He is author of “Don’t Fear The Forward: The Secret to Building Successful Websites” and president of Leading Hands Through Technology – a nonprofit that helps other nonprofits with technology. 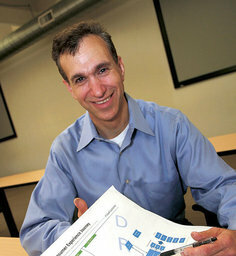 Marc severed for many years as Vice President of User Experience Professional Association (UXPA) Cleveland. 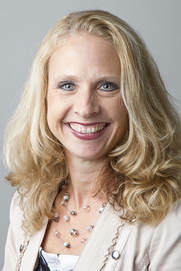 Stefanie Moore is an associate professor in the School of Journalism and Mass Communication where she teaches in the PR sequence. 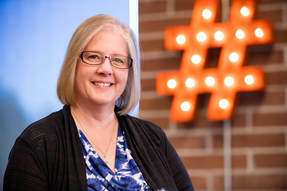 Currently, she teaches both face-to-face and online courses including Digital Public Relations, Digital Analytics, Social Media Strategies and more. She previously served as coordinator of Flash Communications, the student PR agency housed in University Communications and Marketing, where she directed eight to 10 students who worked on marketing, PR and social media initiatives. 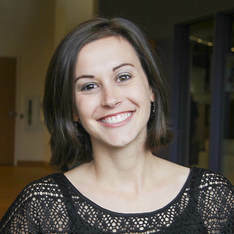 Prior to Stefanie’s role on the faculty, she was a member of Kent State University’s Web team where she managed the university’s search engine optimization project, usability planning and testing, accessibility efforts, content updates and many other Web-related initiatives. She also served as editor of the faculty and staff newsletter. Before coming to Kent State, Moore worked in Naperville, Ill., for Laidlaw Education Services, the leading supplier of student transportation. There she was responsible for the employee newsletter, community relations initiatives and maintaining the company intranet. 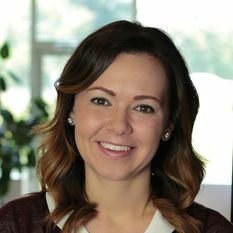 ​Since joining the Marcus Thomas public relations and social team in 2013, Erin has supported a variety of clients including Troy-Bilt, Lake Erie Shores & Islands and Swisspers. Her day-to-day responsibilities are rooted in social strategy and content development, influencer marketing, community relations initiatives and enewsletter content creation. Erin’s media relations efforts have also helped clients land in the pages of high-profile consumer publications like Men’s Journal and Gizmodo. Her contributions to the 2015 Swisspers digital and social campaign garnered a WOMMY award. Prior to joining Marcus Thomas, Erin worked for True Digital Communications and interned with the Pro Football Hall of Fame. She holds a degree in public relations from Kent State University. ​Aubrey joined the Marcus Thomas team in 2015 and currently serves as an account supervisor in the social and PR community of practice. With 6+ years of experience, she has worked with B2B, CPG and H&G clients, including BEHR, KILZ, KeyBank and Faber-Castell USA. 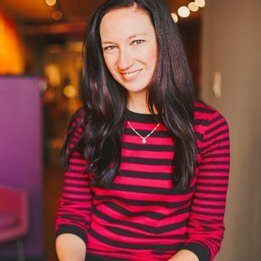 Her work spans across social media strategy and execution, content development, influencer marketing and media relations. Her social media efforts recently contributed to BEHR’s 2017 social campaign receiving a Shorty Award. 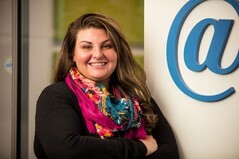 Prior to Marcus Thomas, Aubrey spent some time in Alabama as an account manager at Whittaker Marketing. Originally from Pittsburgh, she is a graduate of Kent State University’s public relations program. Heather Whaling is founder/president of Geben Communication. She is the 2016 EY Entrepreneur of the Year in the Ohio Valley Region (OH, KY, IN), and one of PR News’ 50 Game-Changers in PR. After launching the company from her dining room in 2009, Heather’s fresh approach to best practices has helped Geben evolve into one of the top boutique PR firms in the Midwest. With offices in Columbus and Chicago, Geben was named the national media relations agency of the year (Ragan/PR Daily) and a top 10 agency for startups (Agency Post).